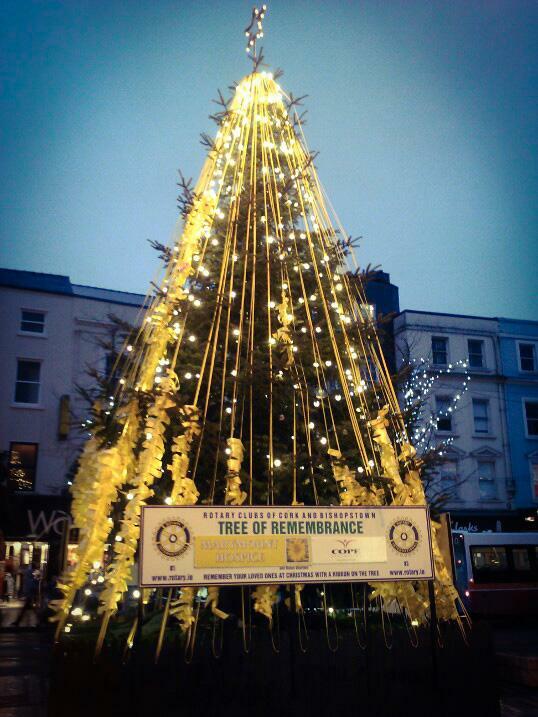 With our Tree of Remembrance Project, we undertake the flagship project of our club each Christmas. Its purpose is to raise funds for local charities. It is operated, in cooperation with Cork Bishopstown Club, by members from both clubs and other volunteers. The public is invited to remember a loved one at Christmas by writing and placing a yellow ribbon on the Tree and making a non prescribed donation to our nominated charities.